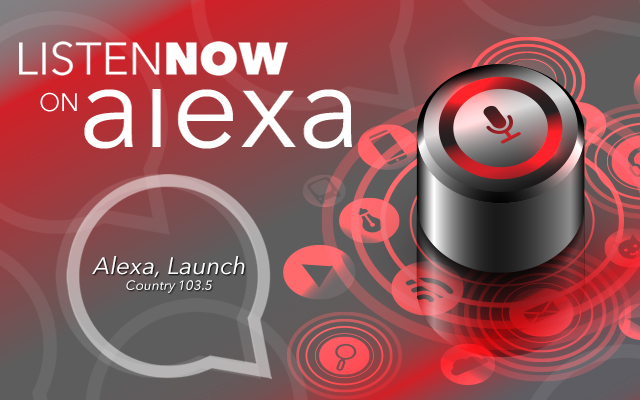 Did you know you can listen to your favorite country station online, on your mobile device AND on your Amazon Alexa or Echo smart speaker? You can literally take us with you any where you go! So, how does it work? The first thing you need to do is say ‘Alexa, enable the the Country one – oh – three – point – five skill.’ Or you can enable the skill simply by click here. Then, once the skill is enabled all you have to do is say ‘Alexa, play Country 103.5’.